How Do You View The Map In GTA 3? Is there a way to view the game map and find out the locations of mission markers and stuff without having to blindly follow the mini map icons. It is hard to know which icon is closest to you. 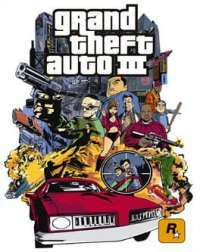 Grand Theft Auto 3, does not have a large map feature that other GTA games have. The large pause menu map was first introduced in Vice City. If you have the paper map, then this is the best that you can have. The larger map may be present in some remakes, but the original PS2, Xbox and PC version of the game and any emulated copies released on other systems do not have a map tab in the pause menu. You will have to navigate using nothing but the minimap in the bottom corner. After a while you should get the hang of it as the game map is quite small and there arent too many dead ends that you can get stuck in assuming you have learned your way around the map. There are mods for the PC version that could bring this functionality for you by taking the code from the Vice City version of the game, but if you are playing on consoles you will be unable to use any map with the game. Time to order a compass and map the city the old fashioned way!